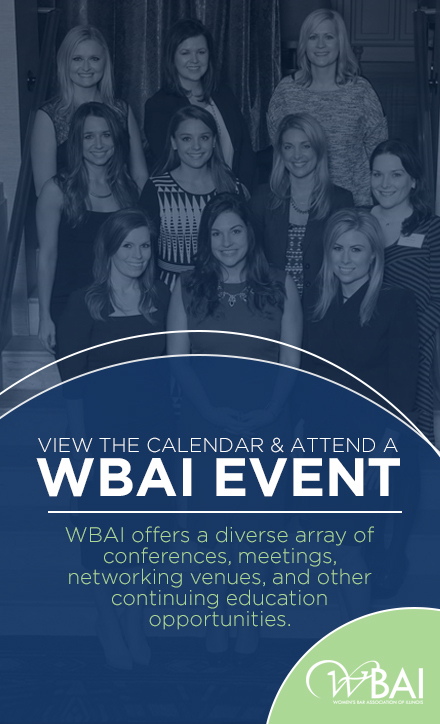 When I was in law school I found networking very challenging but a good friend invited me to a WBAI event. I loved meeting new people, especially women that understood the challenges that I was facing. Everyone had different advice and approaches so I learned a little bit from everyone. As a first generation college student, it was difficult for me to find mentors in my family or family friends, but I found in the WBAI the place I needed. After a few events I kept seeing the same attorneys, man and women, and I was impressed by their recollection of prior conversations and their support even though I was just a law student. I made a goal to meet new attorneys at every event and I have been successful. Now, as a practicing attorney, I want to help those law students that may be facing the same challenges. I think the best way to empower women in law is to support one and other, lift each other up and celebrate each other’s achievements. Unfortunately, women still face many challenges in the legal field. As a litigator, I hear women attorneys who are still careful with the way they portray themselves and even the way they make objections because they do not want anyone in a courtroom to think they are emotional or pushy. Women must feel comfortable with their ability to litigate; they should never doubt their ability to command a room with their presence and knowledge of law for fear of being viewed as emotional, pushy, or even bossy. This is where many senior attorneys have helped me; they have helped me build confidence in my skills and myself. I am looking forward to litigating complex criminal cases. I am also looking forward to meeting senior attorneys because I believe we never stop learning. Also, my incredible mother is opening her third daycare location and I could not be prouder, so I am looking forward to the grand opening.